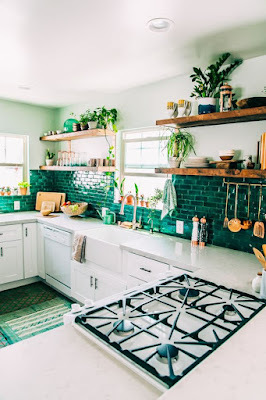 How do you all feel about bringing colour into your kitchen? Would you? or Should you? These days there is a definite trend in sticking with neutrals - Black, white and grey. Although these colours are classic and will live on forever... I say bring on the colour! 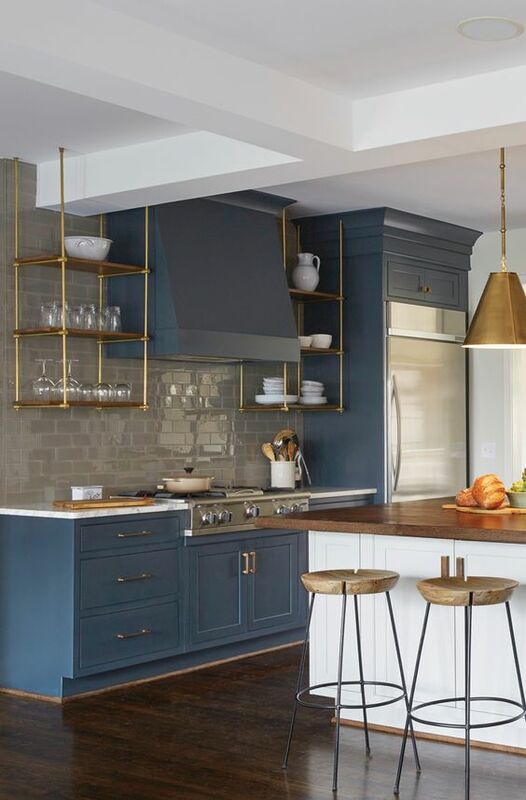 If you're brave enough to decide you want some colour in your kitchen, an Interior Designer will help you choose colours that flow throughout your home, and they will also help balance them out with other neutrals. Try sticking to one colour and add white or grey to freshen it up. Have a look at a few examples here, don't they just look like happy kitchens? How elegant is this Aqua kitchen? 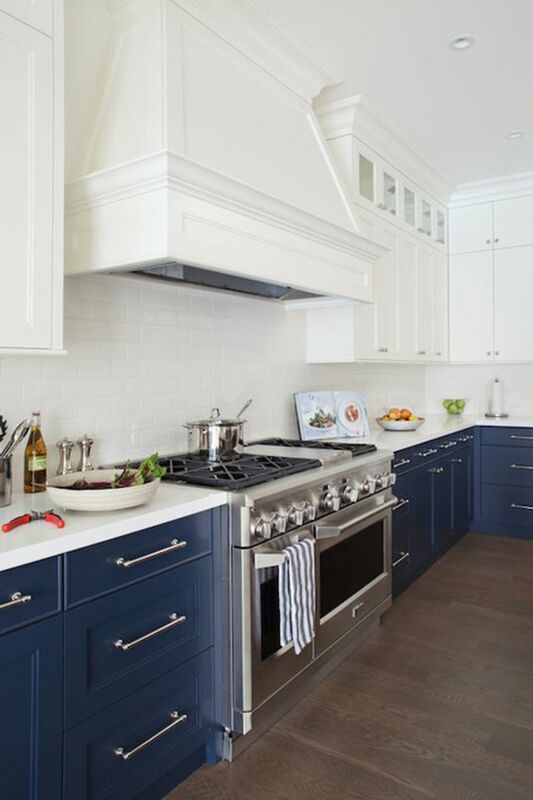 The Shaker style doors add a classic touch to an awesome kitchen. Navy and white, a classic combination. See how the darker colour is kept on the low cabinets, it keeps the kitchen looking spacious. Soft pink, the colour of the year, teamed with grey, this is a soft and feminine look. 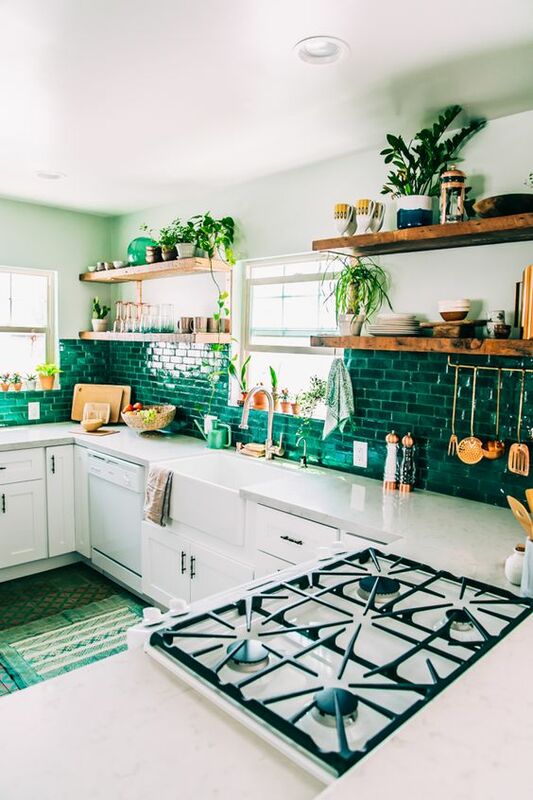 This Emerald green splashback makes me weak at the knees! This gorgeous blue with white and brass is stunning. I love the warmth of the timber and brass as it helps balance out the coolness of the blue and grey. Have I convinced you? 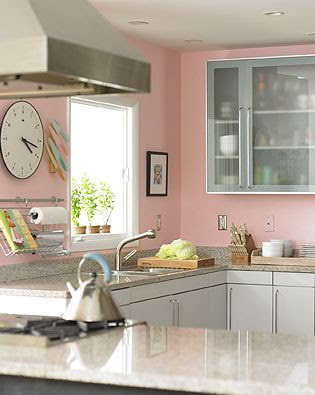 Will you add a bit of colour and happiness into your kitchen?